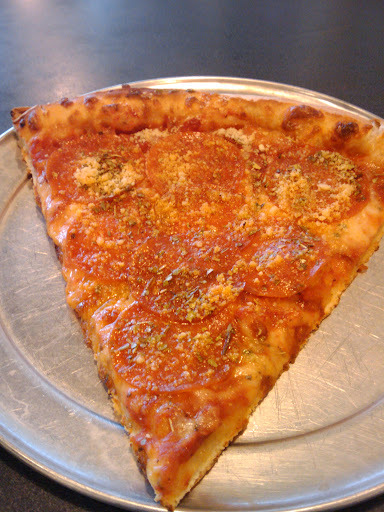 The Pizza Files: East Coast Pizza. Late lunch at East Coast Pizza. A slice of Meaty, a slice of pepperoni and a ice tea.